Samuel's Heritage Bed and Breakfast is a family run Bed and Breakfast since 15 years and is open all year. Your host Susan and her family will give you welcome what you will never forget. The Samuel's Heritage Bed and Breakfast offers six absolute cosy ensuite Rooms on the ground floor (one room is wheelchair accessible) and a comfortable dining room and separate relaxing guest lounge with. From the breakfast room our guests can enjoy the view to our beautiful garden and as well feel free to relax in our garden. 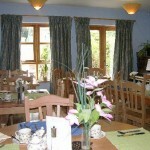 The tasteful Breakfast Menu is famous for its scrumptious & wholesome variety & whenever possible homemade & organic. (The Samuel’s Heritage hens produce every day the fresh eggs for our guests. Tea and Coffee making facilities are available the spacious guest lounge. Another offer from the Samuel's Heritage Bed and Breakfast is that there is sample Free Parking spaces available on our spacious 1 acre site. After a good breakfast you can explore Waterford City. The most famous attraction in Waterford is the Waterford Crystal Visitor Centre on the Mall, a visit to the Waterford Crystal Visitor Centre is highly recommended to learn about and observe the process of crystal-making. The original glass factory was founded in 1783 by two brothers, George and William Penrose, who chose Waterford because of its port. Next to the Waterford Crystal Visitor Centre you will find he Christchurch Cathedral, looking towards Lady Lane in the heart of the city, which was built in the 1770s to a design by John Roberts, a local architect who contributed much to the city’s Georgian heritage. From the church you can explore very well the city to the City Hall, Waterford Museum of Treasures or you visit one of the three towers in the city. 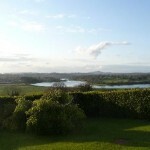 Samuel's Heritage Bed & Breakfast is on the border of Waterford City in the South East of Ireland delights with panoramic views of the River Suir, Comeragh Mountains & City. 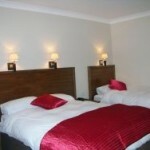 Samuel's Heritage is located near Waterford Regional Hospital, Waterford Castle and Faithlegge House Hotel. Set in 30 acres of farmland on an acre site in quiet & peaceful countryside with mature gardens, yet only 300 metres from the Dunmore Road (R684).